How do you decorate your Christmas tree? I have found over the years its a great time to explore different styles and just have fun. 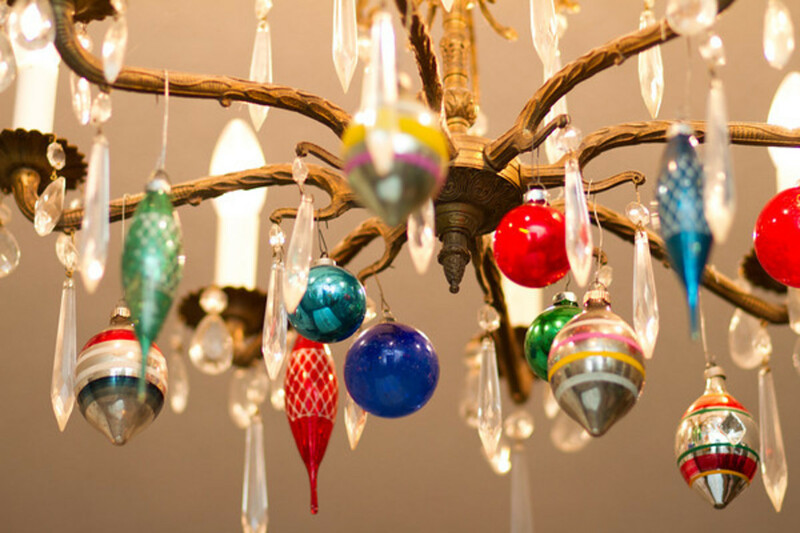 There are so many ways to incorporate those beautiful vintage ornaments & decorations into your Christmas decorating. 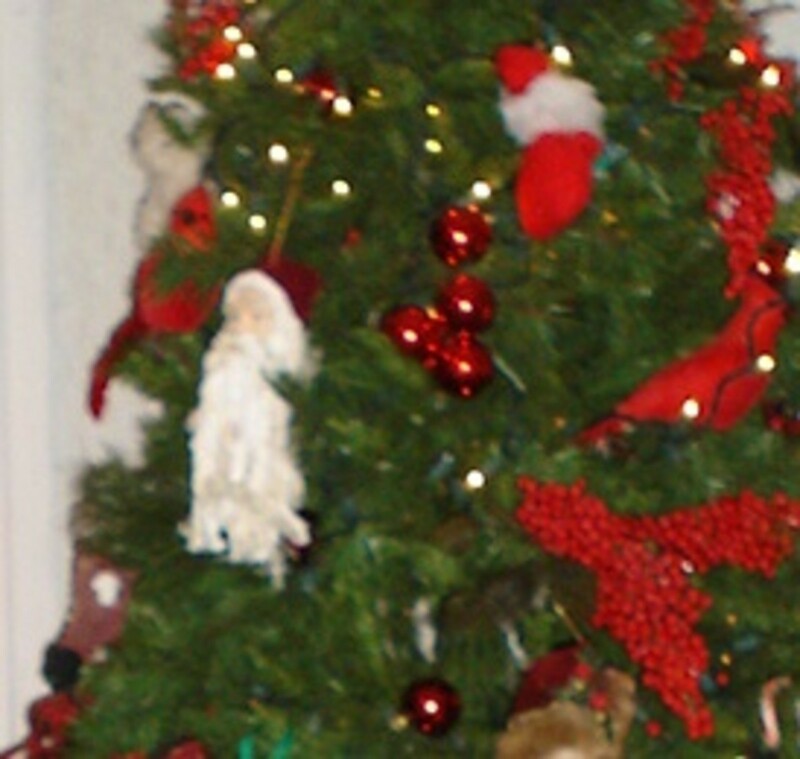 We used to have a home decor retail store and at Christmas we always decorated multiple trees. That's when I discovered how much fun it was to create different looks for each indoor Christmas tree as well as setting up outdoor Christmas decorations. 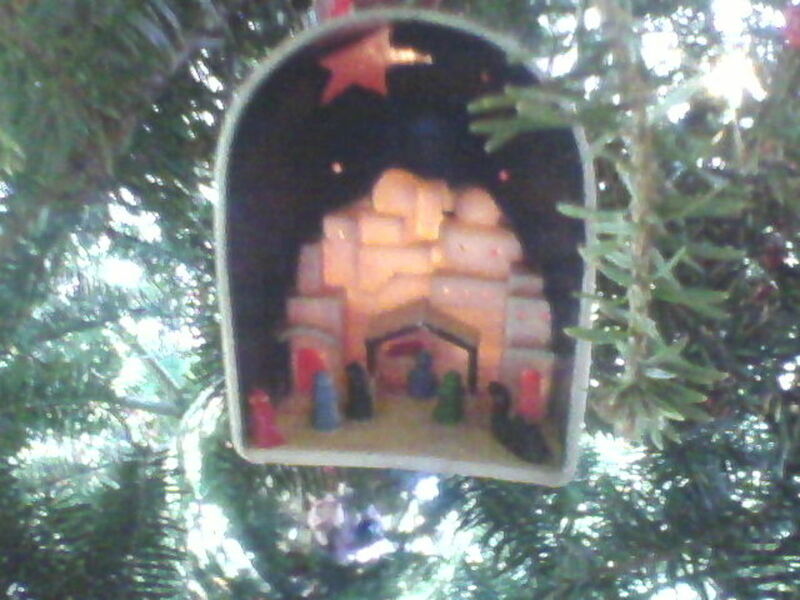 I think one of my favorites was the Vintage Christmas tree decorations. What is considered to be vintage decorations? 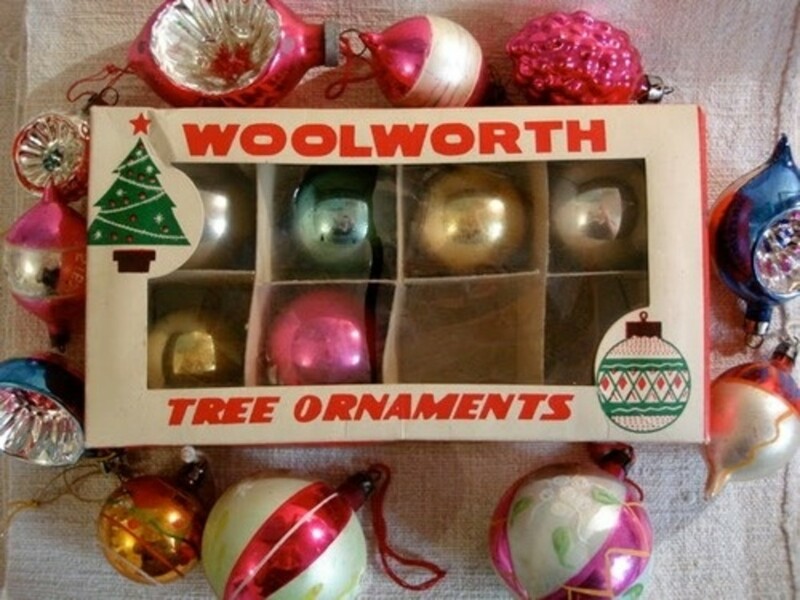 Basically any Christmas tree decorations that are a few decades old, probably much like the ones you had in your home when you were a child(or ones your mother had). Finding these pieces of history is like finding your own little Christmas treasures. 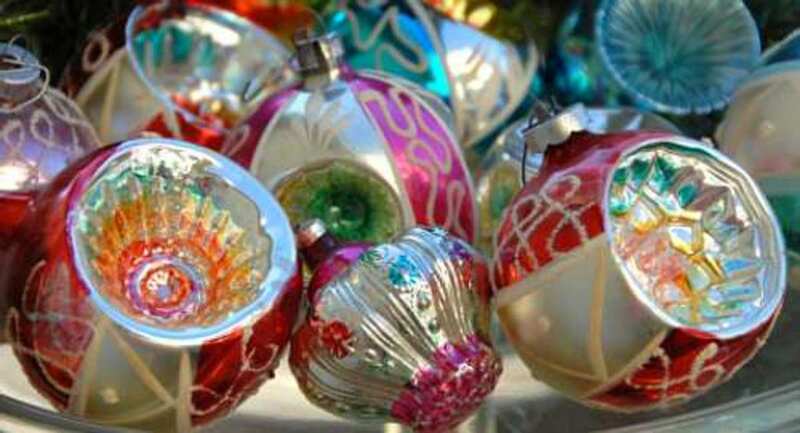 So whether you are a collector or just want to decorate with vintage Christmas tree decorations, there are many different and unique vintage decorations to choose from. Now it is almost as much looking for the vintage decorations as it is putting them on the Christmas tree. 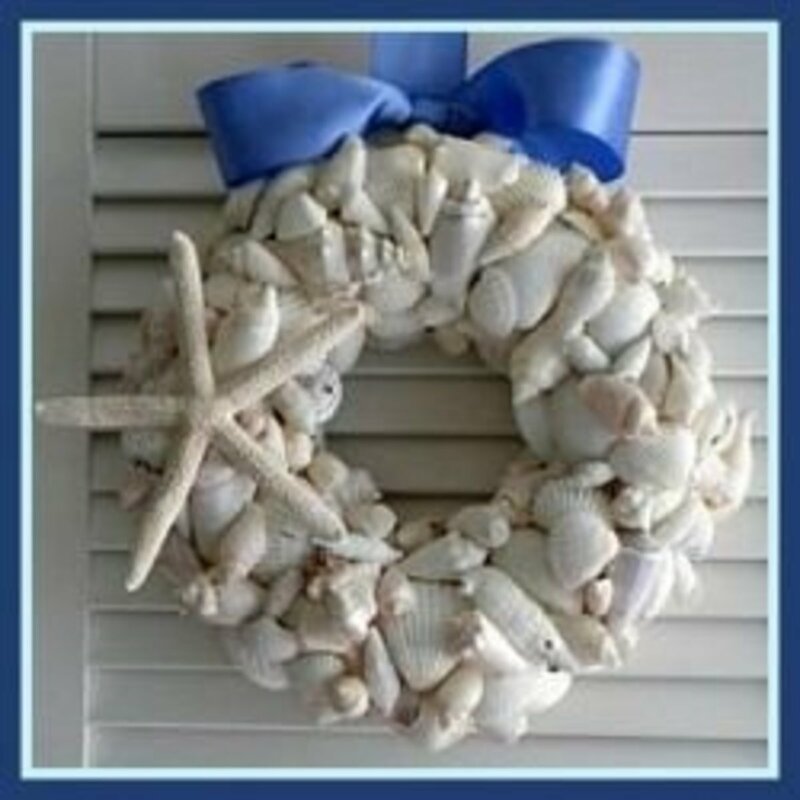 You could also use them to create unique Christmas gifts for someone you love. Although there are some really good replicas out there, you may not find the exact vintage Christmas tree decorations that will fully recapture the sentimental feelings you had for the decorations you enjoyed as a child. But it sure is fun trying! This set of twenty-four miniature ornaments is part of the Kurt Adler Early Years collection, which is comprised of vintage-style tree ornaments and other items of holiday décor that have all the old-world nostalgic charm that you remember from years gone by. 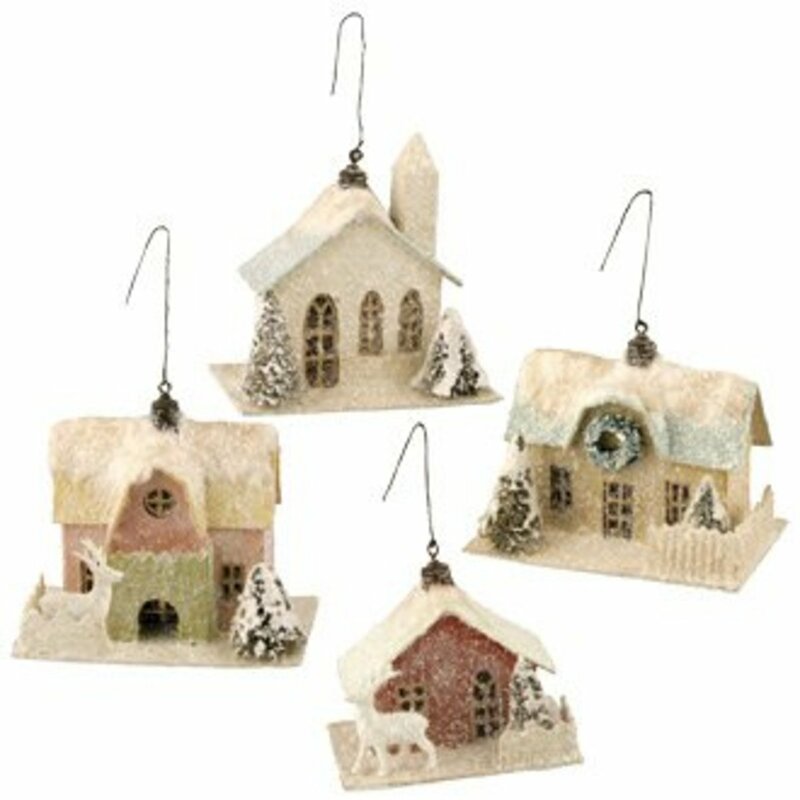 Each ornament in this set has a miniature design that is colorfully designed. 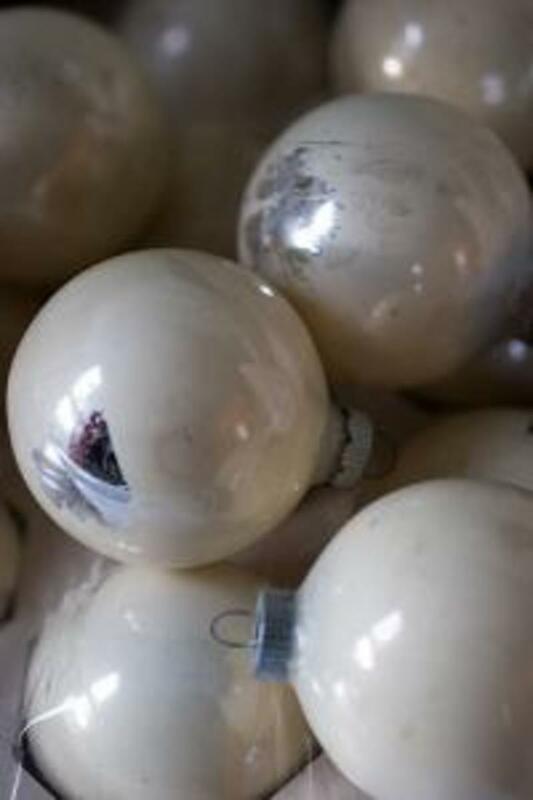 Twelve ornaments have a smooth ball shape and twelve ornaments have a concave reflector design. 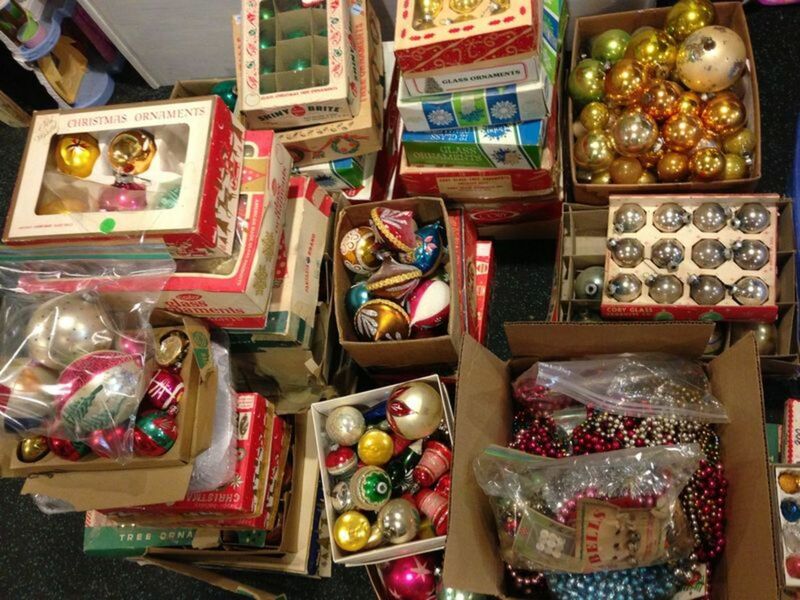 You can always start earlier but I have found that late October to December are really good months to search for your vintage Christmas decorations. This seems to be when most antique shop owners and flea market vendors bring out their Christmas holiday decorations. Besides looking at the antique shops and flea markets, there are some great finds online at ebay and Amazon. I have even found some of my favorite vintage decorations in the spring and summer when yard sales are prevalent. Finding the indoor Vintage Christmas tree decorations is like going treasure hunting and it's a great way to involve the whole family. Some of my favorite finds have been at our community yard sales. It's also lots of fun when there are stories to go with those vintage finds. Now the real hunting begins.... "outdoor" Vintage Christmas decorations. Gone are the days of simple outdoor Christmas decorations, and in rushed the "how many lights and inflatables can I fit in my yard". Okay, you can overdo the decorations but I find it warms my heart when I see a yard with outdoor decorations from Christmas's past. So if you decide to go this route, you need to keep in mind it may take a all year to find just the right pieces. 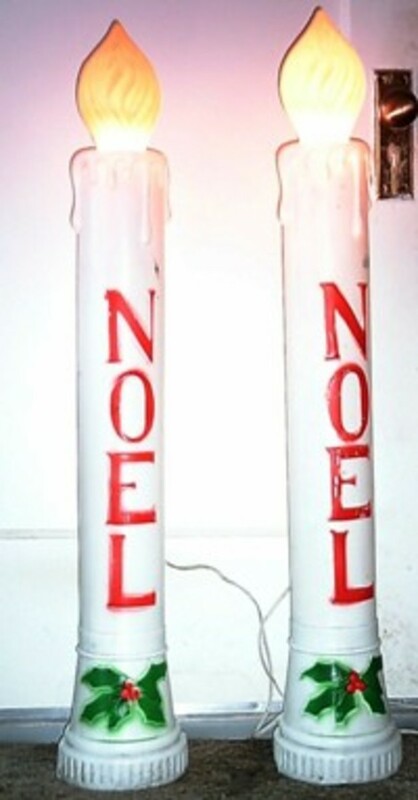 Again you can find some great buys online at Ebay and Amazon, there are a few companies that do make replicas, even for the outdoor Vintage Christmas Decorations. Here are some ideas of what Vintage outdoor decorations you might use, Nativity sets, Santa, Reindeer, Snowmen, Candy canes, Noel candles,vintage outdoor lights and Vintage Door Covers. These decorations can be found fairly inexpensively and can turn your yard into a Outdoor Vintage Christmas wonderland. If you decide to go with outdoor vintage decorations, just remember to try and make a plan or go with a certain theme. You can make it look something right out of a Norman Rockwell vintage Christmas card or you could end up with a yard that looks like an outdoor Christmas junkyard. Just make a plan and it will look beautiful! 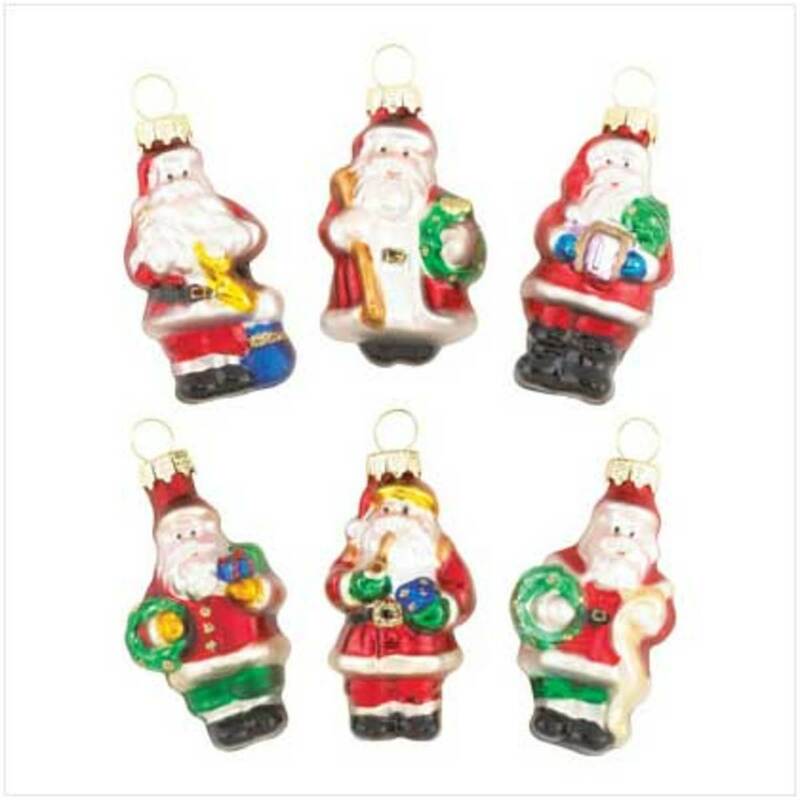 Now this is probably the most popular and most difficult to find whether it is indoor or outdoor, vintage Santa Christmas Decorations. 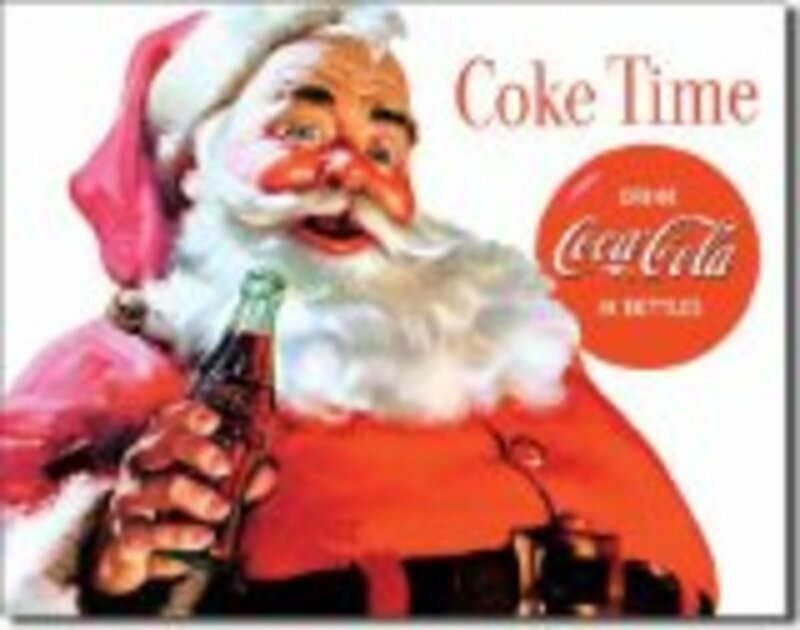 Everyone I know loves Santa, especially a vintage Santa. 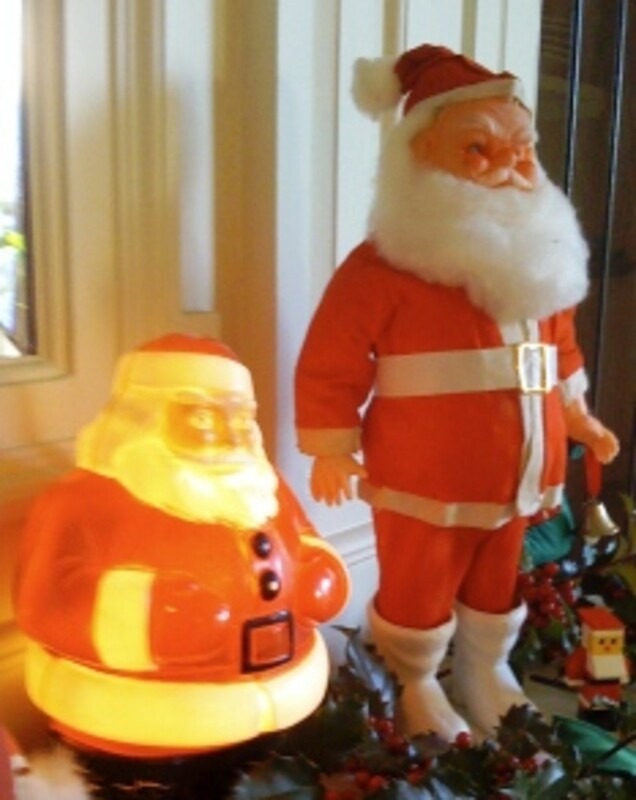 Whether you use vintage Santa tree decorations or a great big plastic outdoor Vintage Santa, it can really take you back to those wonderful childhood Christmas memories. 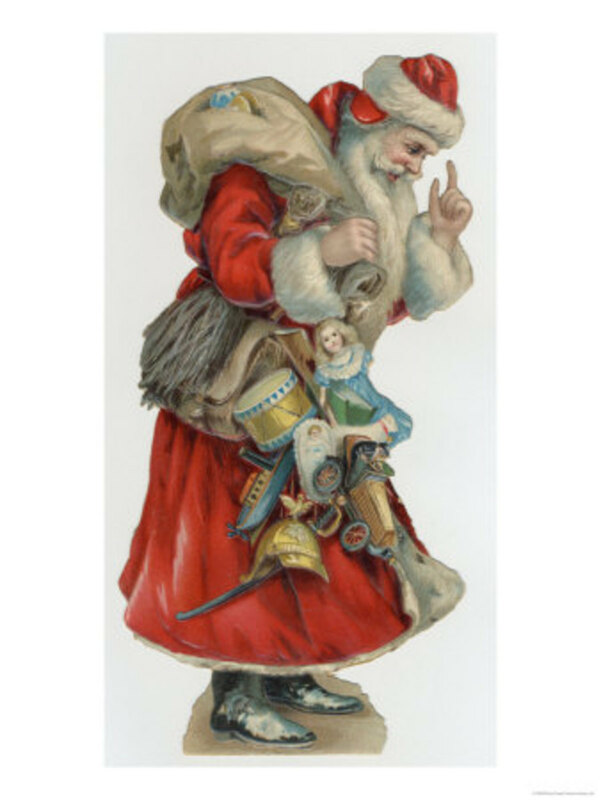 I have found a few vintage Santa decorations at yard sales and antique shops but some of the best buys are online, because it allows you to connect with people from all over the world. It is amazing what you can find when you do a little treasure hunting! 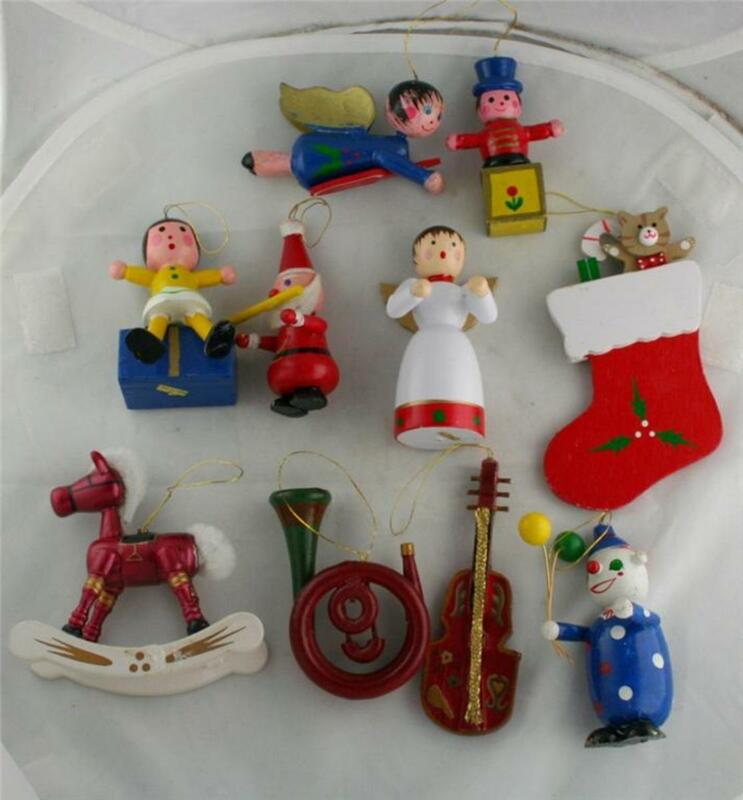 You may enjoy your collection of Vintage Christmas Tree Decorations so much that you may simply decide to leave them up year round! 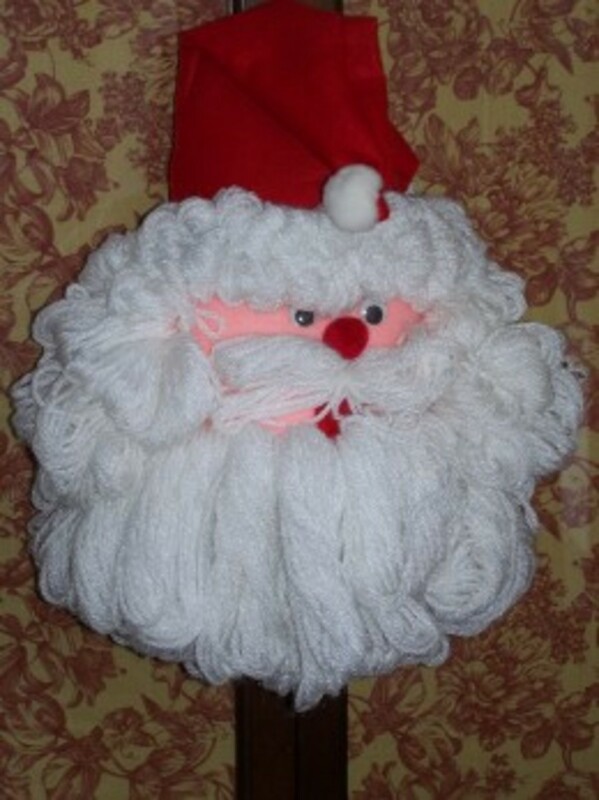 Beautiful Old Vintage Christmas Crafts And Ornaments You Will Love, Handmade. Thanks for your kind words and sharing your ideas. 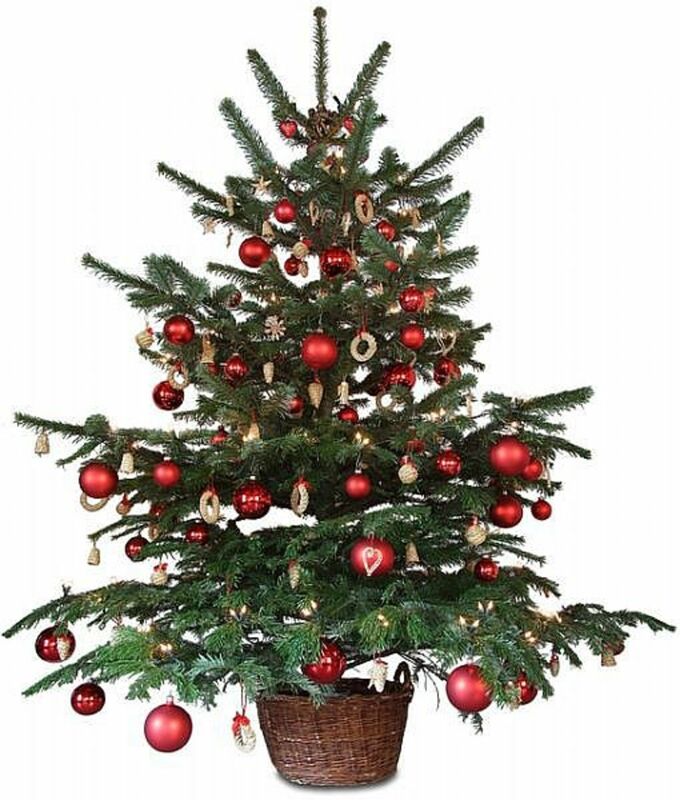 If you have a combination of old and new christmas decorations that will make your tree look a whole much better. Thanks for visiting! It is fun and I love the nostalgia that it brings and the stories I get to share with my kids. 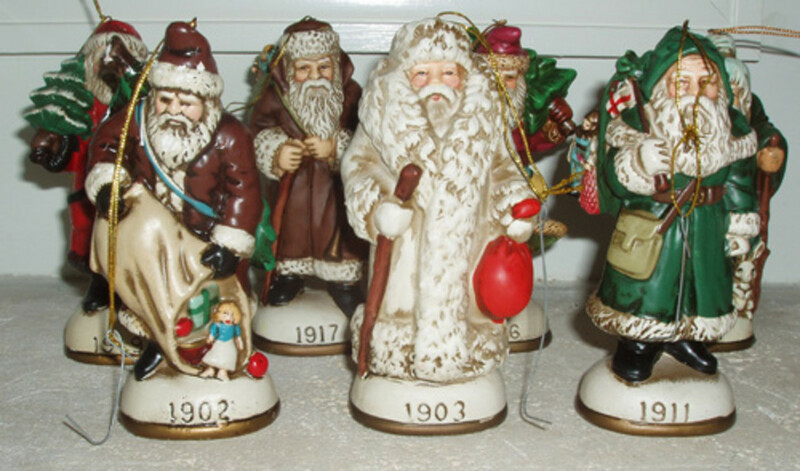 I think the vintage Santas are my favorite. When I was a baby, I learned to crawl by going after a Santa figure my Mother had, so maybe that's why. But whatever the reason, I love it! 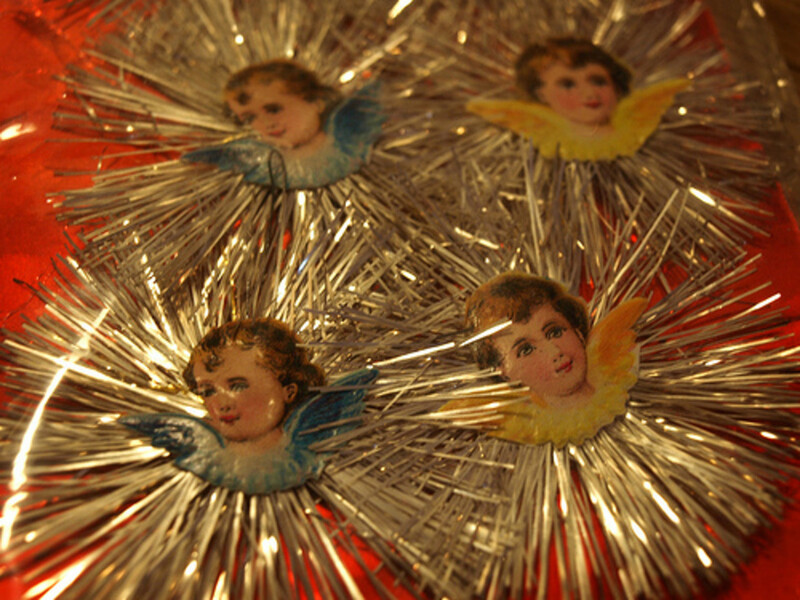 I love vintage xmas ornaments, too. Very charming and full of nostalgia.